Expert facial plastic surgeon Dr. Jonathan Kulbersh comments on the 2015 AAFPRS survey results that reveal more people are looking for natural-looking rhinoplasties than ever before. Plastic surgery specialist Dr. Jonathan Kulbersh of Carolina Facial Plastics can confirm that there has been a noticeable shift in the type of rhinoplasty most potential patients are interested in according to the results of a 2015 survey by the American Academy of Facial Plastic and Reconstructive Surgery (AAFPRS) Nose jobs are one of the most requested facial plastic procedures, and roughly 74 percent of AAFPRS members reported that their patients requested rhinoplasties that were not obvious or overly done. The AAFPRS attributes the changing trends of facial surgery not only to more people becoming interested and open to the idea of cosmetic procedures, but also more people taking the time to research and evaluate their options. The AAFPRS predicts that the natural trend will only become more popular despite the influence of social media and celebrities. While mainstream culture may make facial plastic surgery more socially acceptable, the majority of those who choose to go under the knife will do so to preserve their unique, youthful appearance. 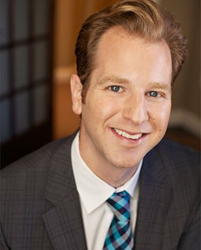 Board-certified in head & neck surgery and fellowship-trained in facial plastic and reconstructive surgery, Dr. Jonathan Kulbersh is the founder and director of Carolina Facial Plastics in Charlotte, North Carolina. Dr. Kulbersh received training in facial plastic surgery in Beverly Hills with renowned surgeons, Babak Azizzadeh MD FACS, Paul Nassif MD FACS, and Guy Massry MD, and has expertise in facial rejuvenation procedures, including facelift, rhinoplasty, eyelift and injectables (Botox and fillers). Additionally, as an expert in the function of facial nerves, Dr. Kulbersh has a special interest in patients with facial paralysis and Bell’s palsy. Dr. Kulbersh has published numerous articles, as well as chapters of medical textbooks, including Master Techniques in Blepharoplasty and Periorbital Rejuvenation. For more information please visit http://www.CarolinaFacialPlasticSurgery.com.